In many utility industries, renewable energy is still termed as alternative energy. However, with current developments in energy sectors all around the world, renewable options will imminently become the main source for harnessing adequate energy to run the planet. How is the Present Situation Indicating towards the Bright Future of Renewable Energy? The emission of green house gases and resulting global warming has become the concern of every country no matter how rich and poor it is. Scientists have categorically declared that if we don’t mend our ways with the use or rather abuse of carbon-rich fuels, soon enough we will face an existential threat from climate change. Assertions made by scientists have also been substantiated from recent weather calamities suffered by many geographical regions across the world. Since we can’t go back in time to rectify our mistakes, the only way forward now is to adopt practices that will generate more renewable energy so that it can compensate for the need of fossil fuels. Nearly all global economies are determined to focus on alternative energy options, and it only makes the case stronger that the future now belongs to renewable energy sources. 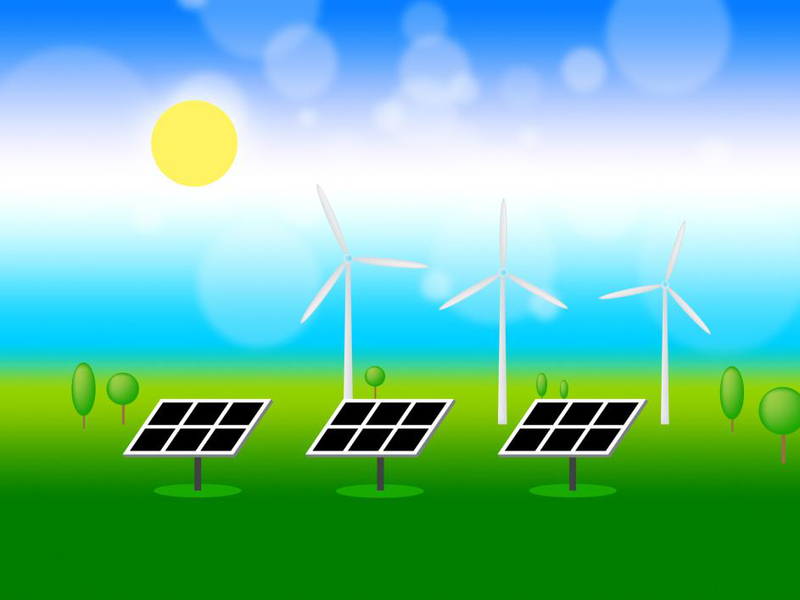 A very detailed study by the Department of Energy’s National Renewable Energy Laboratory indicated that the US can generate most of its electricity from renewable energy sources by 2050. The study concludes that it is possible to fulfill 80% of electricity needs from renewable energy sources by using the existing technologies. These renewable technologies include solar photovoltaic, concentrating solar power, wind turbines, bio fuel, hydropower and geothermal power. The study has provided adequate proof that the future illuminated with renewable energy is possible even without waiting for any technological revolution in the industry. With right policies and measures, the US can become a renewable global leader by the mid of this century. European countries with their diligent renewable energy measures have already taken the lead, and the future of renewable energy is starkly evident in the European market. In 2016, 90% of the new power projects in Europe are of renewable energy. Another significant development has happened in Europe where wind energy has overtaken coal as the second largest source of power generation. Europe is also going to achieve the target of getting 20% of its gross energy consumption from renewable sources. China, another big player in the game that contributes a lot of greenhouse gases to the ecosphere, is planning to invest vastly in renewable energy power and generation. China is planning to funnel $361 billion into renewable fuels by 2020. Solar, wind, hydro and nuclear power are those renewable sectors that will use this investment. If this plan materializes, then half of China’s its electricity consumption will be fulfilled and met by renewable sources. All this inevitably points towards one direction – that there is ample evidence given the current momentum that the planet’s and subsequently, our future is made of renewable energy.